As the fight to figure out monetization of websites is never-ending, we see a pretty constant stream of new advertising ideas coming through our tips line here at TNW. The latest of these is from a company called GapAd. It is, as the title says, either terribly brilliant or just plain terrible. The deciding factor of that will come down to how the publisher uses it. GapAd is aiming to monetize the event of people leaving your website. It’s not the first time that we’ve seen this, either, though people have generally tried to do this with pop-up or pop-under ads that spawn a new window when you exit. 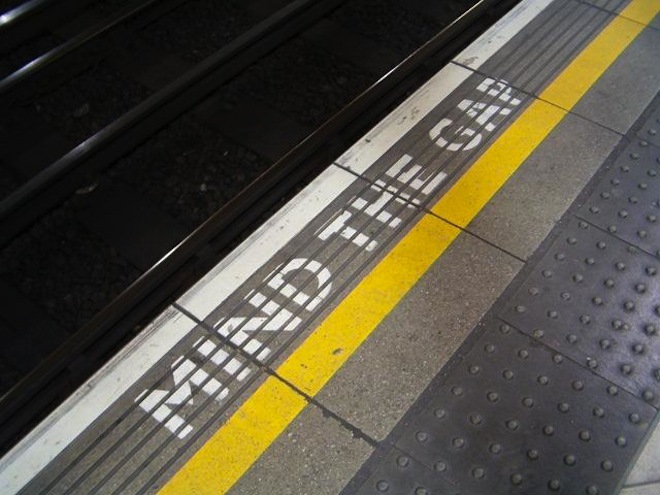 With GapAd, the idea is to “mine the gap” that exists when you leave one site to visit another. So instead of just taking you to a new site, clicking a link will spawn an ad that can be displayed for an amount of time chosen by the site owner. This is where that “deciding factor” comes into play. GapAd’s creator, Jay, tells me that GapAd uses a “sophisticated targeting system” to make sure that the ads are relevant to the reader and he hopes that blog owners will see some other advantages. “This has several benefits, both to the blog author and to the reader” according to Jay. It reduces the need for annoying and distracting advertising on the blog itself. Off-blog links become a way to monetize, rather than simply a way of sending traffic away from your site and it can be integrated with your existing advertising, instead of replacing it. Hopefully very few site owners will choose to use the high end of the timer scale, or God forbid, the “only on click” option. Doing so will likely cause the owner to lose far more readers than they’d offset in profit. Regardless, it’s an interesting take on a system, and I like the idea of having a viable option versus running ads on a site. At the end, advertising is still that necessary evil for most sites. With that said, the less invasive that you can make it, the better the experience will be for your users. Unfortunately, advertisers tend to want the most invasive thing that they can find, so the battle will rage on.